Since the garden at Pear Tree Cottage appeared to be a blank slate when I bought it, there have been a few surprises. The biggest, and I mean that literally, is the clematis growing on the back fence, behind the pear tree that the cottage is named for. I had a hard enough time believing it when it spread out 15 feet on either side to cover the fence, but when it bloomed? Wow. I tried to capture the vine's immense size, but without anything for perspective, it's hard to tell. I'm sure others have seen bigger, but *I* haven't! I took hundreds of pictures of it, trying to capture all of the shades of blue and purple on this one plant. It wasn't until I looked at these photos that I realized there were two different types of blooms in two different colors. I know for sure it's one plant (I had taken a good luck at the structure over the winter). Is it reverting to a species, perhaps? 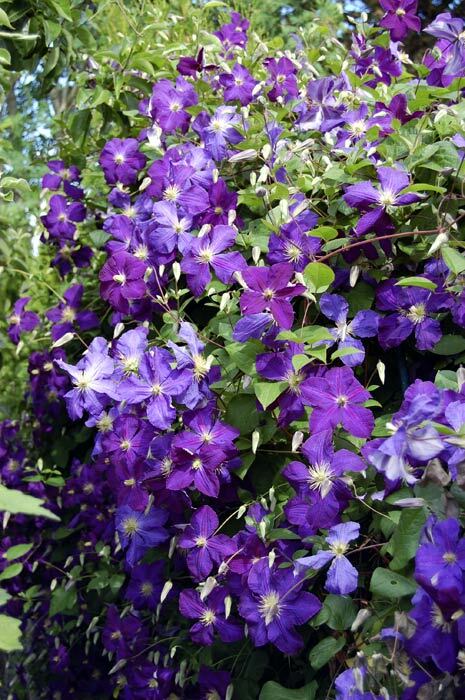 Or is this common to clematis? I don't actually know. Either way, I love taking pictures of the blooms. I just think they're beautiful. And, oh yeah, there were some other flowers blooming in July here. How about you? 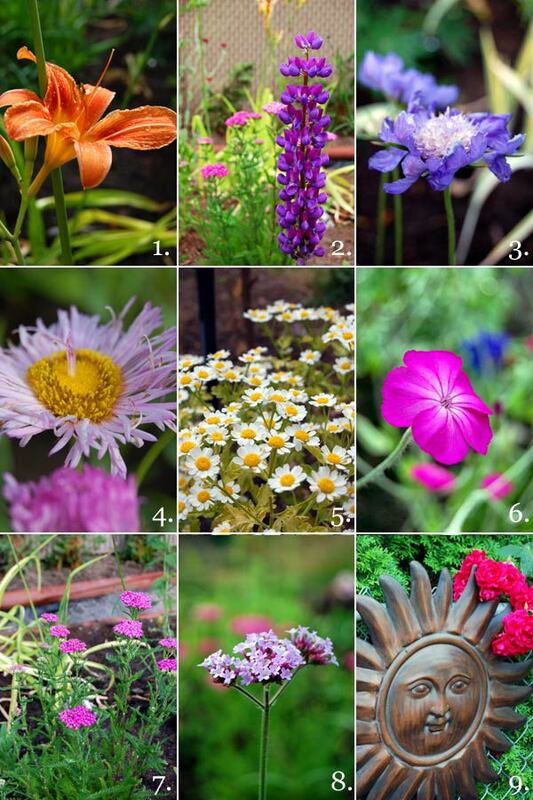 Did anything blow your mind in your garden in July? This post is a part of the July Garden Bloggers Bloom Day, sponsored each month by May Dreams Gardens.